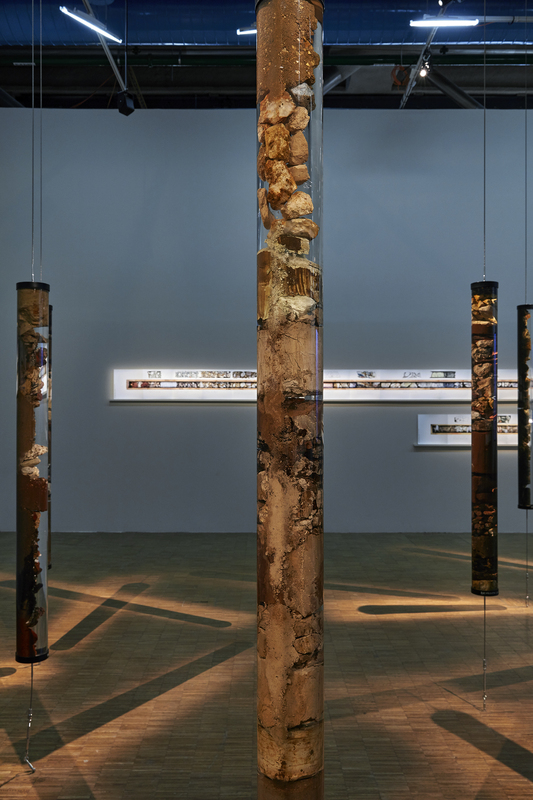 In Time Capsules, Hadjithomas and Joreige resculpt, with the help of archaeologists and geologists, the cores extracted from Beirut, Paris and Athens – cities that were chosen by the artists for their personal and historical significance. 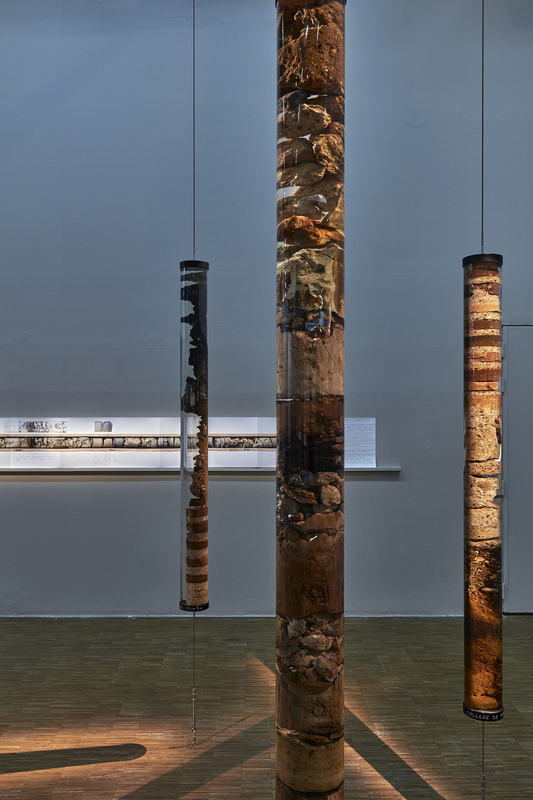 These buried cities are made visible in vertical, cylindrical structures, fixed within a resin that allows the details of each material to be viewed – or read – in detail. 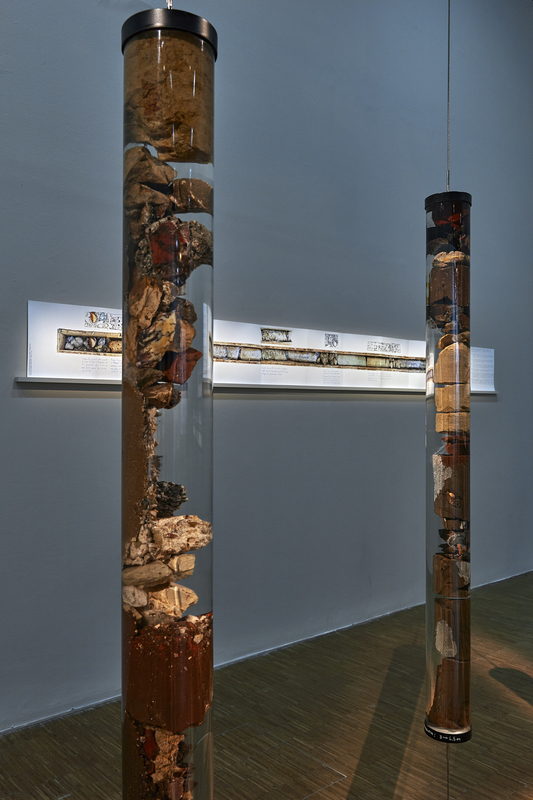 Hadjithomas and Joreige developed an experimental resin specifically for the project of Unconformities, allowing for the fragility of these excavations to be shown and displayed. Cores has been recuperated from several sites : Louvre, CollA?ge de France, MusAi? ?e de Cluny in Paris, Martyr’s Square and Saifi in Beirut, Monasteraki, Keramikos and Eleonas in Athens. 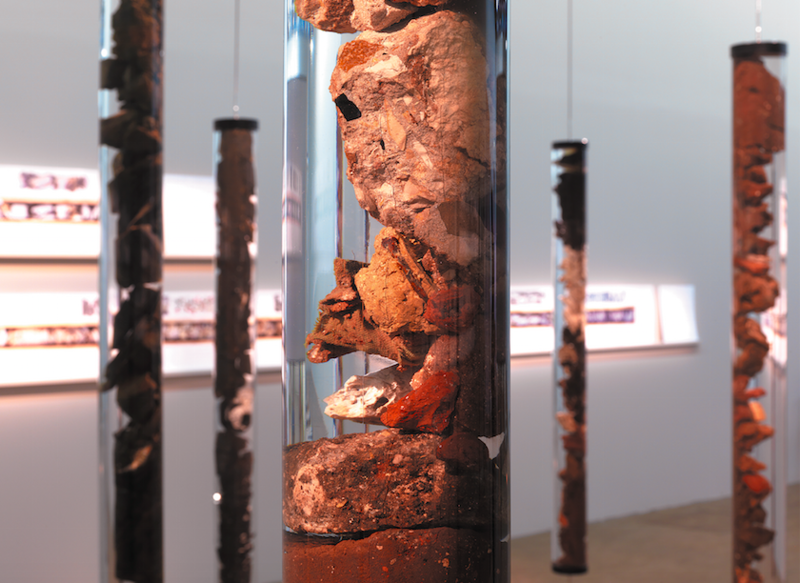 As sculptural works, the Time Capsules abstract the very idea of history into matter.